Everything started with the pencil that was used to write the first books. Then teachers started using the blackboard to improve the classrooms efficiency. Around 1980 teachers were able to use the videotape as an additional method of assessment to enhance the learning process of students. The CD-ROM came in 1990, it was used to install the first educational softwares that helped students of all ages learn in an interactive way. More recently came the laptops and the internet, with those tools we are able to access all of the world knowledge in a few clicks. As everyone can write on the internet or record videos, anyone can share its knowledge. Finally, we now have the abilities to answer any questions we have through the device that is in our pocket. The smartphones and tablets are also used by some universities to help students access their courses online at anytime, anywhere. The interesting question now is, what will be the new device that we are going to use in the future to enhance our learning abilities? 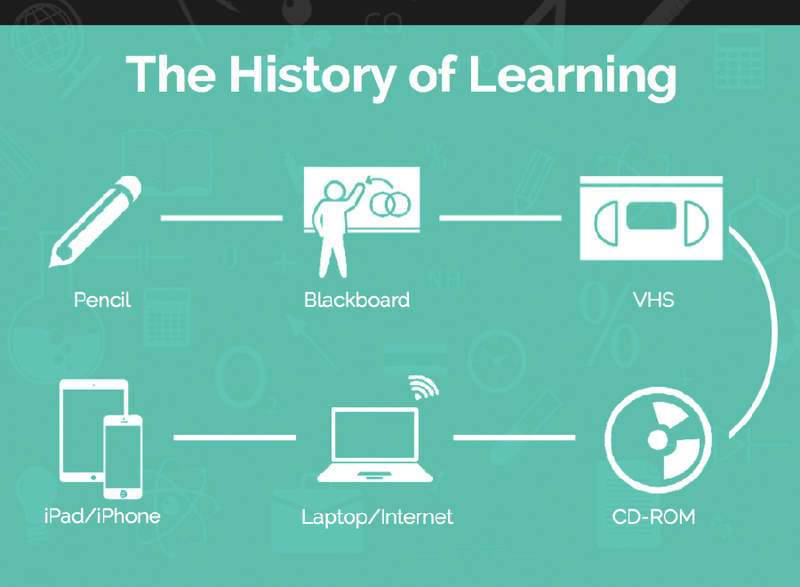 The evolution of the use of technology as a learning tool won’t stop now. As it has always been the case, there will be something new that will help us learn faster and in a more engaging way. We believe that this new technology is virtual reality. Better memories – According to the cone of learning from Edgar Dale, after two weeks, the human brain tends to remember 10% of what it reads, 20% of what it hear but 90% of what it does or simulate. Faster learning – As we say, a picture is worth a thousand words, well we believe that a 15 minutes virtual reality experience worth a 1H30 documentary. Immersion in History – Reading about history or about the solar system has always been great, but since a few months we are able to live history just like if we were there. That means that we have the power to take back people in 1942 to relive some of the worst period of humanity or in 1969 to become Neil Armstrong on what is the 20th century’s most enduring achievement. 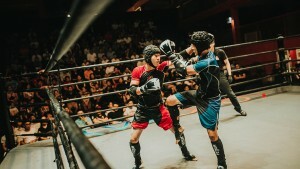 A lot more engaging – Finally, no one will argue about that, virtual reality is a lot more engaging than all of the previous technology we used to learn. 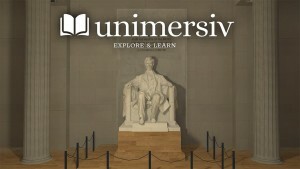 We built Unimersiv to help VR developers working on educational content find an audience. 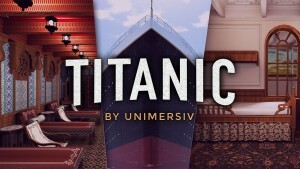 Unimersiv is a platform dedicated to virtual reality educational content that aims to help developers get their experience noticed and earn money through those. 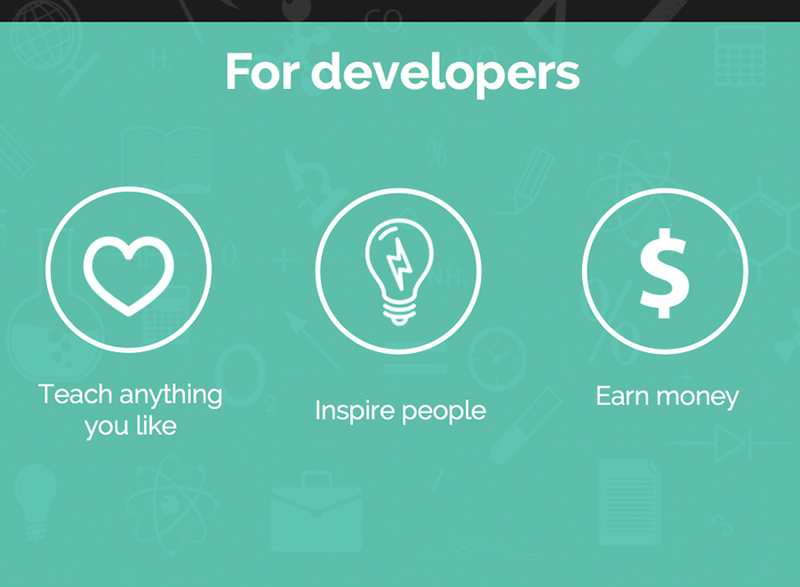 Educational experiences on Unimersiv can be free or paid according to the choice of the developers. 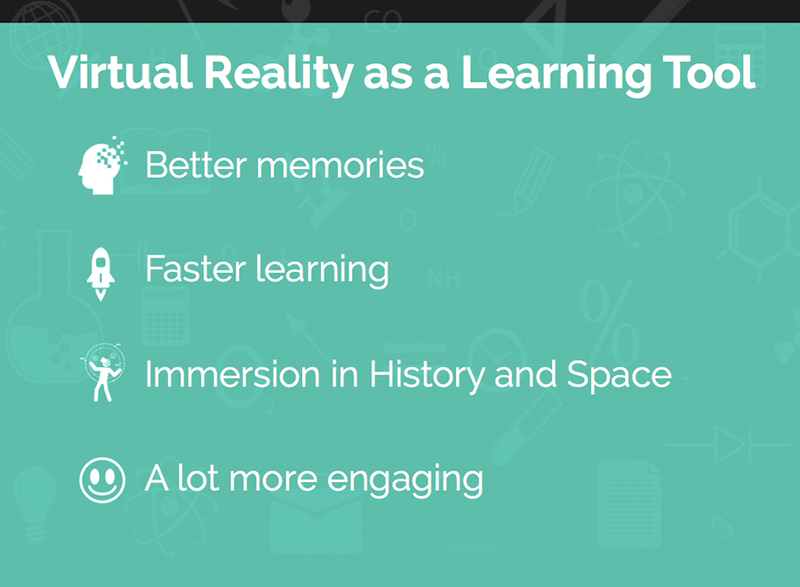 Here are some experiences that represent perfectly how VR can be use as an educational platform. Apollo 11 (we backed them on Kickstarter!) 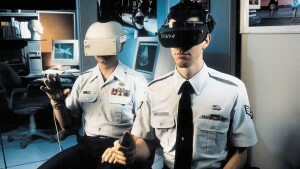 is for now the best example to show that learning history through virtual reality will be the most amazing thing ever. In this experience, you become Neil Armstrong on what is the 20th century greatest achievment. 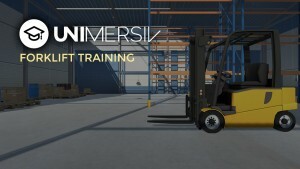 – We give developers the ability to add their incoming courses to Unimersiv as « coming soon » experiences to start spreading the word about it before it’s in production. The day they launch, we can send the good news to all of the people that subscribed to it to generate the first downloads. 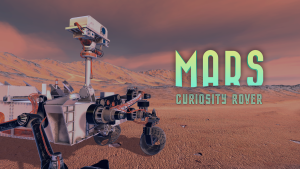 – Finally, to help developers work faster, we are launching in a few days a free 3D models collection that everyone will be able to use in their educational VR experiences. As a VR developer for education, you have the ability to inspire people. You can take back your users in the period of the history of your choice and make them feel like they are here. If you love sports, you can teach them Karate or Yoga through their VR headset. 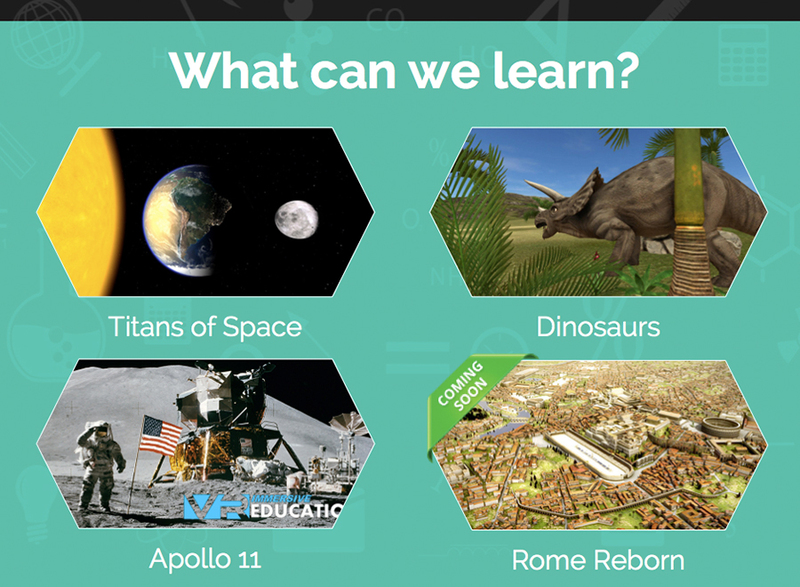 We’re looking for more people to help us build VR educational content. If you are a VR developer, please contact us.